Cactus and succulents are appealing, dramatic plants, best shown off in containers. Collecting them can be addictive - many a sizable garden has been inspired by the purchase of just one whimsical looking cacti. With rare exceptions, every cactus is a succulent. Cacti are distinguished from other succulents by areoles or well defined areas on the plant's surface from which sprout tuffs of spines, bristles or hairs. Cactus flowers always bloom from these areas also. 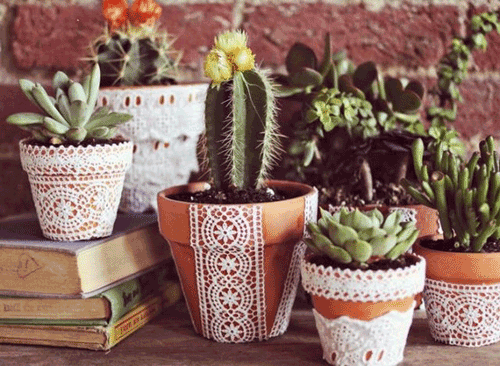 Planting Tips: You can buy a special soil mix for potted cacti at garden nurseries and center. Or you can make your own. Just combine one part leaf mold, one part peat moss soil mix and two parts river sand or fine gravel. Pot Tips: Cacti will thrive in almost any style and type of garden planter. 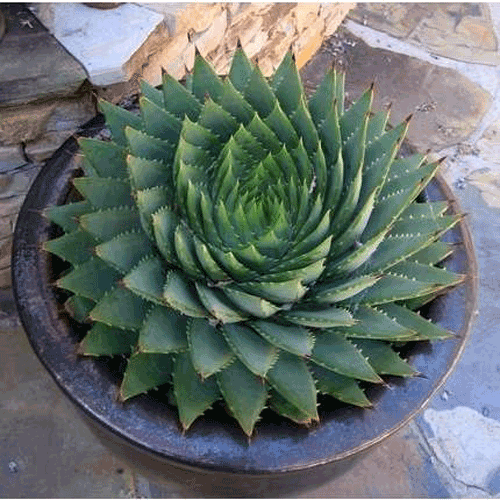 There is where you can become creative and choose round bowls for combinations of cacti and succulents. Choose colorful containers to add some brightness to the basic green of most cacti. Go with deep or shallow pottery because these types of plants have very short root systems. Make sure if you go with ceramic or poly resin that you don't over water. When planting make sure and wear garden gloves to protect your hands. You can wrap folded newsprint around the plant so that you don't come in contact with the spines. Plant suggestions & care: These types of plants are easy to grow and don't take much care. It's best to soak soil completely each time you water and then let it dry almost out completely before the next watering. Fertilize monthly during the growing season. 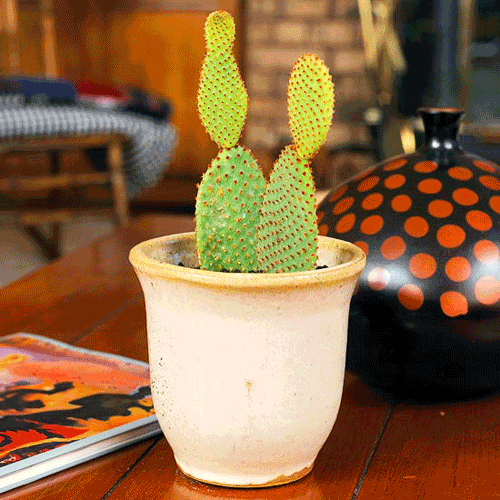 Potted Cacti love direct sunlight so make sure they get some especially during the winter months. Once a year check to see if you need to re-pot into a larger container. Opuntia - Schlumbergera - Sempervivum tectorum. Read more.....A few new tips for container gardening.